and all the restaurants and shopping of Puerto Vallarta. 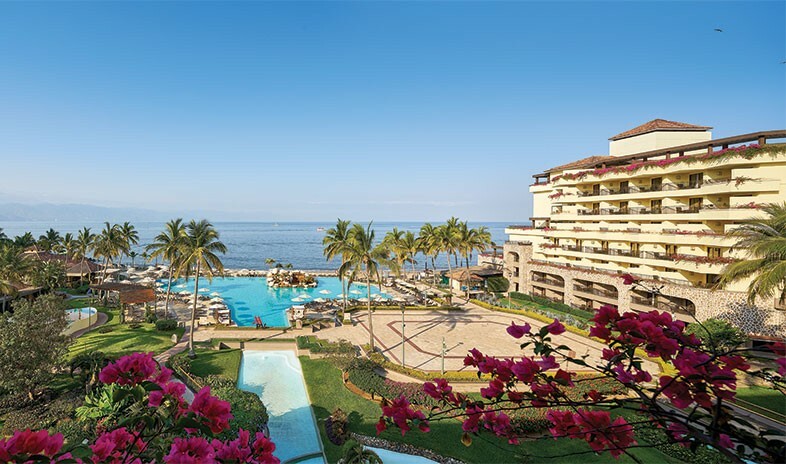 Conducting business doesn’t feel like work at the Marriott Puerto Vallarta Resort & Spa, especially when events are held in five outdoor venues with gorgeous views and ocean breezes. Planners can choose from 13 spaces for indoor meetings as well. Details are managed impeccably by the specially trained staff, and booking an all-inclusive group package means there’s even less to worry about. The resort — which has been recognized by Condé Nast Traveler as one of the top 10 resorts in Mexico’s Pacific Riviera — continues the pampering in its renovated lobby and 433 guest accommodations, which all have pillow-top beds, ergonomic workspaces, and balconies or terraces. Guests won’t want to stay in their rooms long, though, with the plethora of activities on the property. The bright blue water of Banderas Bay is ideal for snorkeling or kayaking, while the pools, whirlpool, and spa provide more leisurely pursuits.